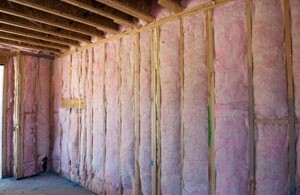 HomeBlogInsulation: Learning The BasicsWhat is Icynene® Insulation? Icynene® insulation is a popular choice among builders, architects and property owners in Ontario. The high performance spray foam air barrier is known to keep out moisture and vapour while being mould and mildew resistant. All of these characteristics contribute to creating a healthy indoor space. Icynene LD-R-50® is a trademark for light density, open celled, flexible, 100% water-blown polyurethane foam insulation manufactured by Icynene Inc. It is a renewable based air barrier material that doesn’t lose its R-value due to aging, windy conditions, settling, convection or air infiltration. It is also not prone to traditional moisture intrusion via air leakage. 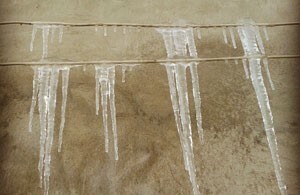 As with other spray foam insulating systems, Icynene expands on contact with walls, ceiling or flooring. Upon spraying the foam on to a surface, it forms a thin polymer film. This film acts as an air barrier or seal preventing heat transfer caused by convection or the movement of air. You will find that it helps to prevent drafts and increases the performance of the conductive insulation. It also prevents condensation which is usually the cause for mould, mildew and structural damage. It has an average payback of 3 to 4 years. You can lower your heating and cooling costs by up to 50%. It is guaranteed to perform well for the entire lifespan of your home or commercial building. Choosing the right spray foam insulation can help avoid building envelope issues as well as enhance your comfort and energy savings. If you are looking to eliminate cold spots and leaks or to bring down your HVAC costs by using a smaller system, our spray foam insulation experts are always ready and willing to help. Platinum Spray Foam uses premium products to achieve the best results. The proven benefits of Icynene® insulation have made it our product of choice for homes and commercial buildings in Ontario. To learn more about Icynene® insulation, call Platinum Spray Foam at (416) 731-8600 or request an estimate online. You can also visit our store to see our products and talk to our friendly, knowledgeable team.